Partnering Shiseido, Hong Kong Federation of Business Students offers you an opportunity to learn the grooming skills and image-building skills required in different occasions. This workshop will help you to understand your skin type, providing the right skincare treatment to you..
Shiseido Company Limited is the leading cosmetics company in Japan and the fourth-largest in the world. At home and in more than 60 countries abroad. It commenced operations as Japan's first Western-style pharmacy in Tokyo's Ginza district in 1872. The name Shiseido derives from a Chinese expression meaning "praise the virtues of the great Earth, which nurtures new life and brings forth new values." This policy has led to high-value-added products and services in the cosmetics and other businesses promoting people's beauty and well-being. 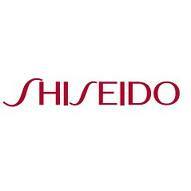 Participants will receive FREE samples from Shiseido.